Attic cleanout. Ugh. But, it’s time and you simply can’t put it off any longer. So, you’ve got to get into gear and get it done. Although, that means a lot of time and effort. However, it’s ultimately worthwhile, particularly if you plan to remodel it for more livable square footage. Or, just to get it organized and functional for continued but much-improved use. 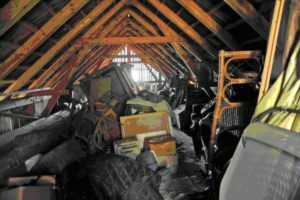 Whatever the reason, you have an attic cleanout ahead of you and it’s definitely worth it to do it right the first time out. If you don’t often go into the attic, there’s a good chance pests are enjoying the comfortable living space. So, be sure to check around to eliminate any potential unpleasant surprises. This way, you’ll be in-the-know and possibly have more motivation to clean it out. Go through everything. This is where many people struggle to make any progress. They just want to throw out this and that but not delve into individual boxes. That’s a mistake because you probably don’t remember what’s where. So, you really need to go through everything. Empty out the entire space. Next, you need to completely empty out the space. Don’t leave anything in the attic. Otherwise, you’ll have ready-made excuses for skipping over things and that defeats the purpose. Strategically install shelving. If needed, you can install shelves to make it a better organized space. This is a great way to quickly prioritize and identify what’s what and where. Organize what’s being stored. Whatever you’re keeping, be sure to neatly organize it and put the most often retrieved items in easy to locate and grab places. 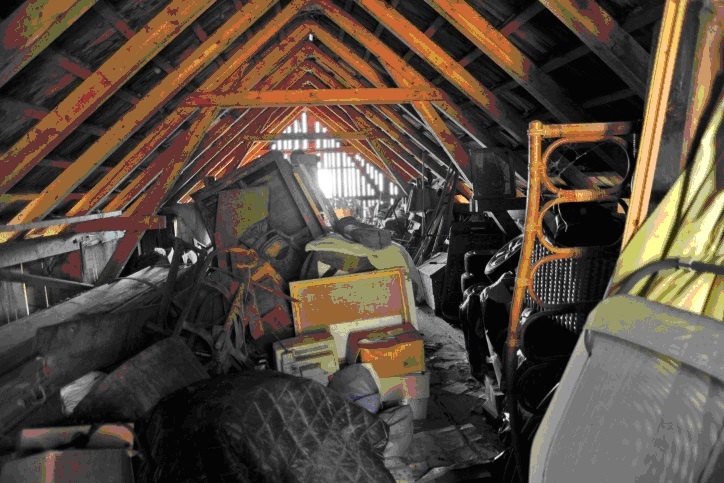 When you’re finished with your attic cleanout, go ahead and phone 800-433-1094 or visit Junk Garbage Removal.